I've seen this building being built a week ago, and i thought its another building for the "dakheleya" . . Traditional architecture is taking over the nation !!!! yea! how sad ?! we're turning into one of these nations that have their own style of architecture, just like we see in Europe . .Boring! infront of the old building?? do u mean before Al Markyah R/A? However, I support the change of the passport and Immigration building aswell, remove Sooq Al-Ali too while your at it, the view of these buildings from the aghraffa bridge are horrible !! i saw that commercial building today, and i thought they're building a new building for immigration! hope they put a sign on it! So tired of signless buildings! I think the design looks better for a museum. this project is now completed and they already moved to this building. one word: Tasteless & Ugly! 1. Those are two words. 2. 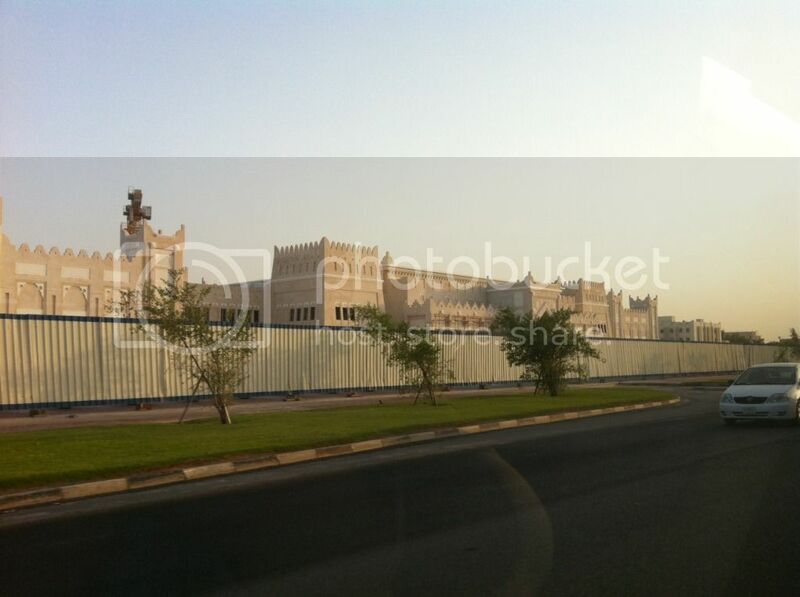 I think its beautiful, this is a Qatari governmental building that should be built to last. What architecture is better than our own Qatari classical architecture for these kind of buildings that represent the Qatari government/people/heritage ?